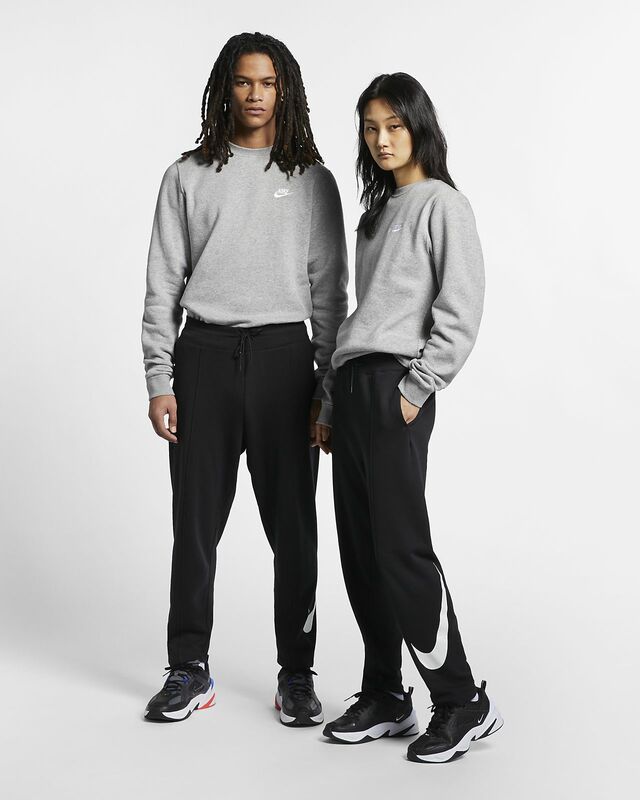 Made from soft French terry fabric, the Nike Sportswear Swoosh Pants feature pin tucks for a textural edge and an adjustable waistband for snug comfort. French terry fabric has a soft feel. Straight legs show off your sneakers. Pin tucks add flattering leg lines. Have your say. Be the first to review the Nike Sportswear Swoosh.